The Berkeley Art Works at 116 North Queen Street in Martinsburg will host an open house on Saturday, July 25 from 1-4pm followed by a reception from 4-6pm for the exhibiting artists in the “Crit Group Works” Exhibit. Featured demonstrations during the open house will include woodworker Joe Bourgeios, pottery artist Hilda Eiber, and Teaching Artist and painter Jean Kellogg. The event is free and open to the public and offers the chance to meet some of the artists whose work is displayed in the Art Works gallery. The “Crit Group Works” exhiibit is an exhibit of fine art oil, acrylic, and watercolor paintings, mixed media , digital photography and ceramics by artists who comprise a critique group founded in 2007 and meets twice each month in the studio-home of Doug and Karen Kinnett near Shepherdstown, WV. 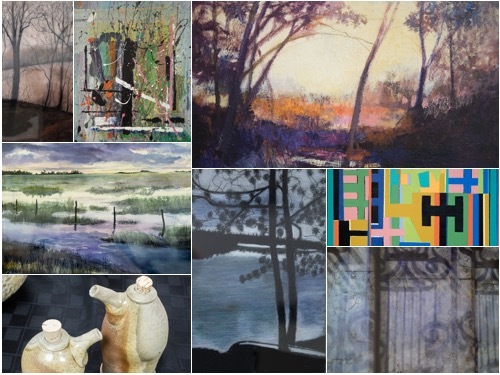 The exhibiting artists from the group are Gary Bergel, Judy Bradshaw, Rebecca Grace Jones, Stan Jones, Doug Kinnett, Fran Skiles, Craig Winkel, and Joy Bridy.